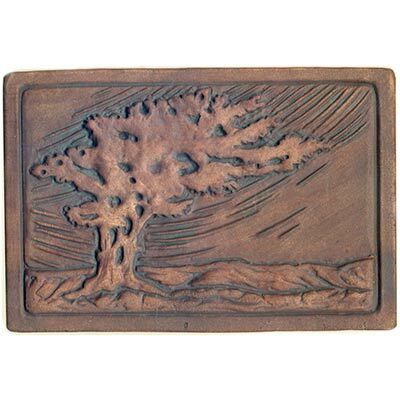 The large Windswept Tree is 6" high by 8 1/2" wide. This is a bigger version of the small windswept tree. You may choose any single color or stain for glazing. The tree, border and surrounding details stand in high relief. 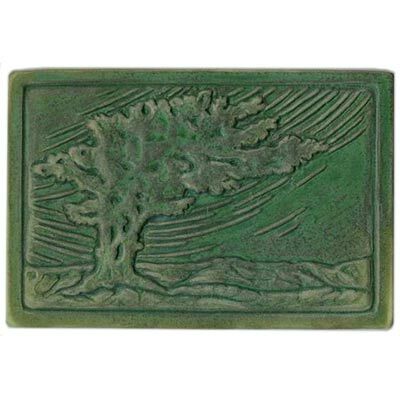 This design is also available as a three tile set (see 'multiple tile sets'). Colors shown: sepia stain; copper patina glaze.